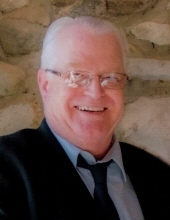 64, of Imlay City, passed away very unexpectedly, Thursday, February 7, 2019, at his home. He was born in Cass City, December 5, 1954, the son of Elva (Rolls) Downey and the late Wesley Downey. Steven was employed in tool and die for several companies including Paragon Molds of Fraser before his retirement in 2018. He liked the outdoors and working in his yard and took pleasure in traveling the countryside on his Honda motorcycle. He enjoyed demolition derbies, tractor pulls and auto races in Flint and Michigan International Speedway with his brother and loved spending time with his grandchildren, nieces and nephews. Surviving are four sons, Shaun of Royal Oak, Scott of Bruce Township, Brian (Nicole) of Lapeer and Michael (Jenna) Downey of Columbiaville; seven grandchildren, Kirstyn, Kodee, Jadee, Michael, Taylor, Bryson and Camden; his mother, Elva VanDenBerg of Sarnia; three brothers and a sister, Paul Downey of Yale, Mark (Sue) Downey of Sarnia, Kim (Robert) Racz of Texas and Bruce (Ann) Downey of Capac; former wife and good friend, Suzanne M. Downey of Deckerville as well as many nieces, nephews and friends. He is preceded in death by a sister, Linda Downey and brother, Phillip Downey. The family honors the memory of Steven and invites you to attend funeral services 11:00 a.m. Monday, February 11, at Kaatz Funeral Directors, Capac, with 9:30 a.m. visiting. Minister Enoch Carlton, of St. John’s Lutheran Church, New Baltimore, will officiate. Burial will be in Lynn Township Cemetery, Lynn Twp. To send flowers or a remembrance gift to the family of Steven Leonard Downey, please visit our Tribute Store. "Email Address" would like to share the life celebration of Steven Leonard Downey. Click on the "link" to go to share a favorite memory or leave a condolence message for the family.